I am back from an exhilarating time at the AQSG seminar in Lincoln, Nebraska. The study center co-chaired with Karen Alexander was full of great people including Lynne Bassett and Marianne Fons and Margaret McDonald from Australia. They loved the series and are all really excited about the Discussion Guides. We were brainstorming how to use the series to advance the goals of AQSG and other quilt organizations. My husband Kenny and I got to spend some time with Bob James, the benefactor of IQSC who I have known for many years. This was our first trip there since Quilt House was built. 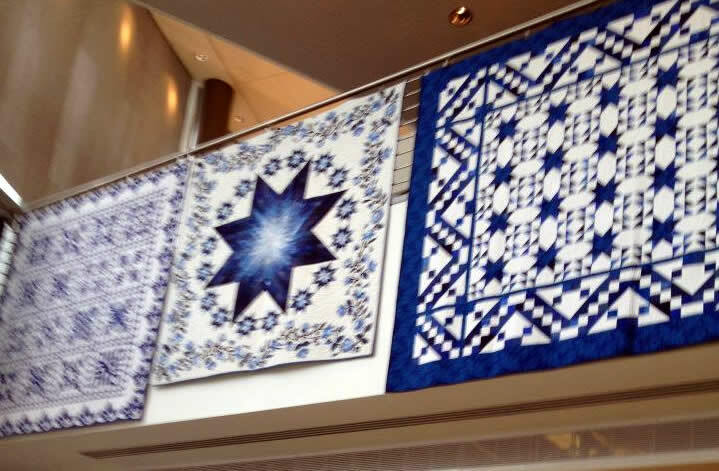 It is a fabulous facility and people like Curator Carolyn Ducey are doing an amazing job getting quilts into the academic arena. There were so many people to see and catch up with! We had dinner with Bill Volckening whose wonderful blogs you read each month on the Why Quilts Matter blog. He is full of plans and has great energy for his amazing work with quilts. I actually sold him his first New York Beauty many years ago and look where he has taken his collecting. Check out his own blog, he is an amazing storyteller! I also hosted a roundtable at one of the lunches and was able to let everyone know how much we have available for them to borrow to use the series in a multitude of ways-trailer loops, DVD loops, Exhibition Programming Opportunities, Guild Program Ideas and, of course, postcards to hand out. It was very exciting to learn how many know of the series. I also realized that really getting the word out far and wide is a huge job and we are just beginning. We would love to have your help to spread the word! Now onto finishing an article for Japan Handicraft magazine that is on deadline, and about to pack bags to go to the Rivers Edge Film Festival that we have been accepted into (Nov 1-4 in Paducah, KY) – all in between Nancy Bavor coming here to interview me for a project she is doing on the history and impact of the quilt dealers of the past 40 years. That should be fun! 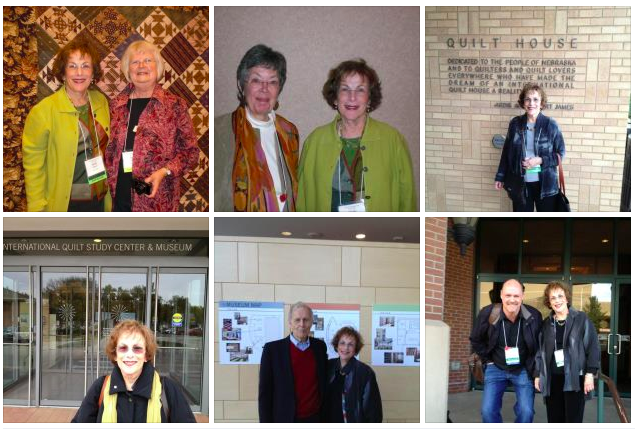 In December – off to the West coast to see the grandkids, and then on Jan 5, 2013, to the San Jose Quilts and Textile Museum to do a program. The series developments are all very exciting. Thanks to all of you who have played a role in its success!